As American and coalition troops fight the first battles of this new century -- from Afghanistan to Yemen to the Philippines to Iraq -- they do so in ways never before seen. Until recently, information war was but one piece of a puzzle, more than a sideshow in war but far less than the sum total of the game. Today, however, we find information war revolutionizing combat, from top to bottom. Gone are the advantages of fortified positions -- nothing is impregnable any longer. Gone is the reason to create an overwhelming mass of troops -- now, troop concentrations merely present easier targets. Instead, stealth, swarming, and "zapping" (precision strikes on individuals or equipment) are the order of the day, based on superior information and lightning-fast decision-making. In many ways, modern warfare is information warfare. Bruce Berkowitz's explanation of how information war revolutionized combat and what it means for our soldiers could not be better timed. As Western forces wage war against terrorists and their supporters, in actions large and small, on several continents, The New Face of War explains how they fight and how they will win or lose. There are four key dynamics to the new warfare: asymmetric threats, in which even the strongest armies may suffer from at least one Achilles' heel; information-technology competition, in which advantages in computers and communications are crucial; the race of decision cycles, in which the first opponent to process and react to information effectively is almost certain to win; and network organization, in which fluid arrays of combat forces can spontaneously organize in multiple ways to fight any given opponent at any time. America's use of networked, elite ground forces, in combination with precision-guided bombing from manned and unmanned flyers, turned Afghanistan from a Soviet graveyard into a lopsided field of American victory. Yet we are not invulnerable, and the same technology that we used in Kuwait in 1991 is now available to anyone with a credit card and access to the Internet. Al Qaeda is adept in the new model of war, and has searched long and hard for weaknesses in our defenses. Will we be able to stay ahead of its thinking? In Iraq, Saddam's army is in no position to defeat its enemies -- but could it defend Baghdad? As the world anxiously considers these and other questions of modern war, Bruce Berkowitz offers many answers and a framework for understanding combat that will never again resemble the days of massive marches on fortress-like positions. The New Face of War is a crucial guidebook for reading the headlines from across our troubled planet. The next wars will be fought not just on battlefields but also in the world's computers and communications systems. The combatants will often be familiar military powers -- like China, France, and Russia -- but there will be others, including underestimated military powers, like India; presumed allies, like Israel; and countries that hardly seem to have any military capability at all, like the Philippines. Terrorist groups, landless peoples, and international criminal organizations will also be players in the new warfare. They are laying the groundwork for this war as you read these words. And so are we. This book is about the future of battle. It is about the threats the United States will face in the years ahead, and how we must prepare for them. It focuses especially on how the Information Revolution is defining these threats and providing the solutions for dealing with them. To be sure, information technology has been with us for around 4,000 years, since Sumerians started preserving their beer recipes on clay cuneiform tablets. Even electronics has been around since 1844, when Samuel Morse tapped out, "What hath God wrought?" in the first telegram, sent from Washington to Baltimore. There is always a lot of evolution behind most revolutions when you look at them closely. Yet clearly something new is happening today. Information technology is improving at an exponential pace, and is penetrating every corner of the world. It may be the mainframe that your bank uses to balance its books. It may be an old PC that someone has trucked in through a mountain pass in the back of a Datsun pickup, or a microprocessor built into the control system of an electric generating plant. Or it may be a disk with pirated software sold on the streets of Hong Kong. But it is there, in every sector of society -- finance, transportation, utilities, entertainment. Not only is information technology everywhere; it continues to grow more and more powerful and, in the process, takes new forms. Booking a flight today is almost always easier on the Internet -- only the most visible information technology of the last decade. Even if you call the airline, you will speak first to a machine, a product of cheap microprocessors and even cheaper read-only memory chips. When you do reach a real person, he or she will be in another state or even another country, a result of fiberoptic digital communications, which allow companies to locate their operations wherever they can find the best labor and real estate deals. No one has felt the effects of the Information Revolution more than the world's military forces. This is no surprise, considering how much of the technology was developed in military labs or under defense contracts. The money that created microchips, satellite navigation, and the Internet was not green; it was olive drab, sky blue or navy blue -- or deep black. The government was paying the bills in the name of national security. Information technology has become so important in defining military power that it overwhelms almost everything else. Back in the Cold War, everyone knew technology was a "force multiplier" (to use the jargon of the day), but no one knew by how much. Did better technology make a U.S. battalion half again as effective as its Soviet counterpart? Twice as effective? Recent experience suggests that the right technology, used intelligently, makes sheer numbers irrelevant. The tipping point was the Gulf War in 1991. Iraq had the third-largest army in the world and had just killed 300,000 Iranians in eight years of the most gruesome warfare of the twentieth century. American generals faced the same problem as their Iranian counterparts: how to dislodge dug-in Iraqis from well-prepared, fortified positions. Officials feared catastrophe and carnage. But when the war was over, the United States and its Coalition partners had lost just 240 people. Iraq probably suffered about 10,000 battle deaths, although no one will ever really be sure. The difference was that the Americans could see at night, drive through the featureless desert without getting lost, and put a single smart bomb on a target with a 90 percent probability. The difference was information technology. The same thing happened when the United States fought Yugoslavia in 1999 and the Taliban regime in Afghanistan in 2001. Each time experts feared the worst; each time U.S. forces won a lopsided victory (at least on the battlefield; the strategic objectives remained more elusive). There is a trend. Information technology is so important in war today that it overwhelms everything else. And when it comes to applying information technology to warfare, today no one is better than the United States. But will the United States always enjoy "the Information Edge"? In the Gulf War the Americans were the only ones who could see at night and navigate the desert. Today anyone can purchase a night-vision scope and satellite navigation gear by mail order. Anyone with a credit card and a reasonably fast Internet connection can download satellite imagery from the Web. The whole package costs less than $10,000.1 Our government may try to control this technology, but experience suggests it will usually fail. And simply having better technology does not guarantee success. Victory goes to the side that understands how to use information technology more effectively. 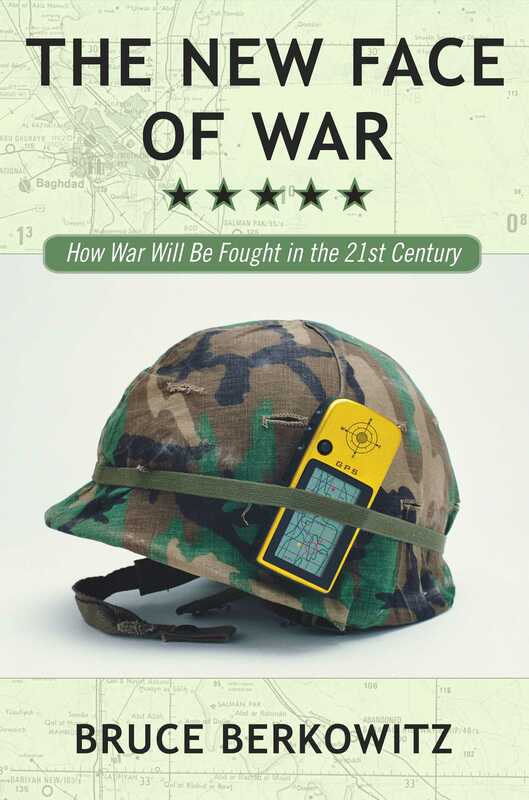 The most significant effect of information technology on warfare has been to make the concept of "the front" obsolete. Everyone and everything is part of the battlefield today and a potential target. True, we have heard this before. In the 1930s military pundits wrote about future aerial gas attacks against cities. In the Cold War, children practiced their "duck and cover" drills to prepare for a nuclear strike. There was always some new weapon (like the bomber) or tactic (like blitzkrieg) or concept (like guerrilla war) that would put everyone on the front line. This time is different. The front line really is disappearing from war. It is not just that the battlefield is becoming bigger because weapons have longer range and are more powerful (which they are). The difference today is that worldwide communications enable armies to disperse -- and even deploy covertly within their adversary's territory before a battle even begins. At the same time, weapons are so accurate -- another result of information technology -- that armies must disperse. Today, if you can see a target, you can usually kill it. Often you do not even need to see it; you simply need to know where it is, or where it will be at some moment in the future. In the past armies massed for mutual protection. Now any army that masses offers an easy target. So armies must hide. Concealment and dispersion become their normal operating status, and, if the profile of military forces is lower, the profile of civilians and the surrounding environment become higher, and thus the front is gone. Of course, some things about war will never change. Wars will always be bloody. Soldiers -- and, inevitably, civilians -- will be burned alive, torn to pieces, and often die horrible deaths. Combat will always be confusing and terrifying. Even in the Information Age, war will often come down to a face-to-face, hand-to-hand encounter where one soldier prays he can snuff out the life of his enemy and save his own. High-tech warfare is not antiseptic warfare. Look at Afghanistan. Look at the West Bank. Nevertheless, information technology is now the essential difference between winning and losing. Better technology means deadlier armies. And as armies become more dependent on information technology, they will develop new kinds of vulnerabilities. In considering the new face of war, it is useful to keep five numbers in mind. They draw the basic outline of American national security today. The first number is $750 billion. According to the CIA's World Factbook, that's the total of the world's military spending -- that is, every country's defense budget combined. This number has been declining, slowly, almost every year since the end of the Cold War, partly because Russia can no longer pay for its military, and partly because everyone else no longer fears the Russians. The second number is $380 billion. That's approximately what the United States spends annually for its military forces today. In other words, the United States now spends roughly as much on defense as everyone else in the world combined. Rarely in history has a single country been so dominant. During the Cold War, pundits argued whether the Soviet Union or the United States was ahead in the so-called arms race. Today there isn't even a race. To be sure, there is lots of room to cut waste and improve efficiency. Many programs do nothing more than represent bureaucratic turf and congressional pork. But partly because it spends this much money, the United States can do things no one else can, such as build aircraft invisible to radar, design bombs that can hit within a few feet of their target, and transport thousands of troops halfway around the world. The third number is 3.2 percent. That is the approximate percentage of the U.S. gross domestic product that today goes to defense. Think of this as a measure of the "defense burden," or how much of our wealth that might be spent on more productive activities is instead going to fund the military. The most interesting thing about this statistic is that it suggests that our defense burden today is remarkably small by historical standards. During the Cold War we spent up to four times as much of the nation's wealth annually on defense. Put these three numbers together, and the picture looks something like this: Not only does the United States have overwhelming military power; we are keeping our edge without even breathing hard. We could keep up our current defense effort -- and even a bit more -- indefinitely, and the U.S. economy would hardly notice the difference. This is a problem, because today we need cooperation between the government and the private sector more than ever before -- both for ensuring access to the information systems that our foreign adversaries use, and for protecting our own. But cooperation is a two-way street. In Information Age wars, victory usually goes to the side having more influence over technology and better access to the world's electronic infrastructure. And that often depends on market share. If U.S. companies do not dominate the nets, someone else will, and that would be to our disadvantage. When legislators pass laws and civil servants implement regulations, today they all need to think about how they are shaping the electronic battlefield. Of course, it would also help if the men and women heading American companies had a better understanding of the pivotal role they play today in the nation's security. Being business executives, their understanding will be highly correlated with economic carrots and sticks. And, if warfare in the Information Age is often going to spill over into the private sector, we all need to think about how to ensure effective oversight and protect civil liberties, so that we do not destroy democracy in the process of defending it. The fourth number to keep in mind is 17 percent. That's the annual rate at which China's defense budget has been growing lately. It reminds us that, despite America's predominance, there are countries willing and able to make big investments to challenge us. Oddly enough, starting from behind has certain advantages. When you design a new army from scratch, you start with a blank slate. You can learn from your competitors and avoid their mistakes. Though smaller, unit for unit your army will be newer. Also, an economist would say that most of the huge U.S. military establishment is a "fixed cost." Politicians and military officials are both reluctant to shut down production lines, retire existing weapons, and fire people. So most of the $380 billion dollars the United States spends annually on defense does not vary much. Changes occur only in small increments each year. That makes it harder for the U.S. military to adapt. Our adversaries can start afresh. They can focus on their specific needs and our greatest vulnerabilities. So U.S. military superiority may be less certain than simple dollar comparisons suggest. And because military power depends so much today on information technology, any advantage the United States enjoys today could disappear quickly. Anyone who has shopped for a computer knows how quickly information technology becomes cheaper and more capable. As military power becomes more closely linked to information technology, any investment becomes outdated faster. Just as it's hard to keep up with the neighbors in having the fastest computer on the block, it's hard to keep up with the neighbors in having the most capable Information Age military force. Besides, our adversaries know they cannot match the United States in tanks, planes, and warships. They know they will most likely lose any war with us if they play according to the traditional rules. So, naturally, they will try to change the rules. This is why most military dangers we face from abroad today are from "asymmetric threats" -- strategies and tactics that avoid our strengths head-on, and instead hit us where we are weak. Our adversaries will use unconventional weapons and tactics to overcome our advantage. For example, consider the potential threat of a Chinese attack on Taiwan. Chinese leaders routinely claim Taiwan is Chinese territory ruled by a "renegade regime." They openly say they plan to recover it, even if this requires war. President George W. Bush, on the other hand, has said that the United States will do "whatever it takes" to prevent China from conquering Taiwan. The loss of a popularly elected democratic government to an authoritarian regime would be an epochal event that we could not let stand. U.S. armed forces are much larger and better equipped, but China enjoys several advantages. U.S. forces must travel 8,000 miles to defend Taiwan; Chinese forces only need to travel 100 miles to attack it. Most Chinese people, regardless of what they think of the Communist regime, think reuniting Taiwan with the mainland is important. The typical American has only a vague idea of where Taiwan is located. China would likely strike American forces where they are weakest. They would probably attack the bases on the Pacific Rim that are essential to any U.S. military operation in the region. Chinese leaders also understand our dependence on information technology. If the Chinese military can neutralize certain essential U.S. computers and communications links, then U.S. plans to defend Taiwan might collapse like a house of cards. The fifth and final number is 3,025 -- the number of people killed at the World Trade Center, the Pentagon, and Somerset County, Pennsylvania, on September 11, 2001. This number reminds us that although today the United States is the supreme military power, hostile countries and terrorist groups can still strike directly at America from halfway around the world with devastating results. The September 11 attacks showed how some basic features of war have changed. Small countries and even organizations that are not states can successfully strike great powers. Also, these threats can conceal themselves and their plans for maximum advantage. To deal with these threats, the United States must not only beat them in the information war -- U.S. leaders must also be able to decide when and how to strike them before they strike us. Doing this while observing the traditional rules of war will be a challenge. So will maintaining democratic control of U.S. armed forces. Welcome to the realities of warfare in the Information Age.